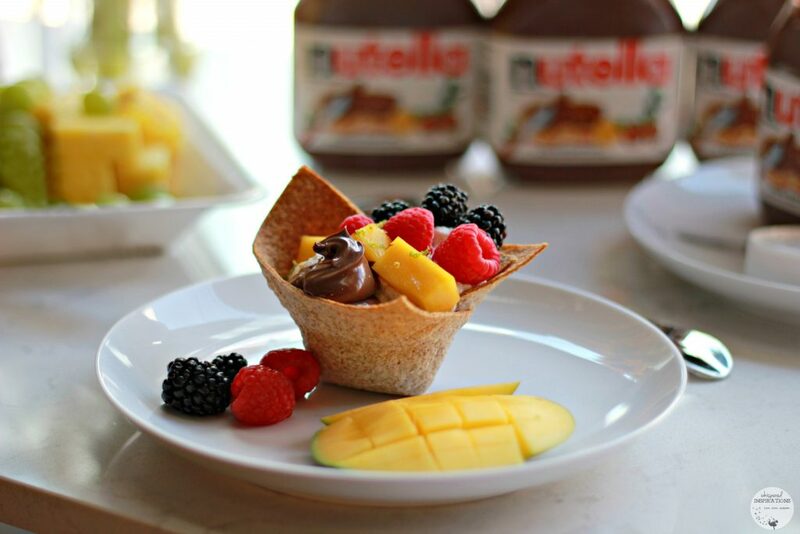 6 Delectable Things You Never Knew You Could Do with Nutella®! It really isn’t a secret that Nutella® is basically one of the greatest things that has ever been created on this planet. At least to me, it is and it is something that is always stocked in our pantry. It really does make pretty much any recipe taste better! If you’ve ever had the quandary whilst enjoying Nutella® of whether you should spread it or spoon it on, well friends, worry no longer! 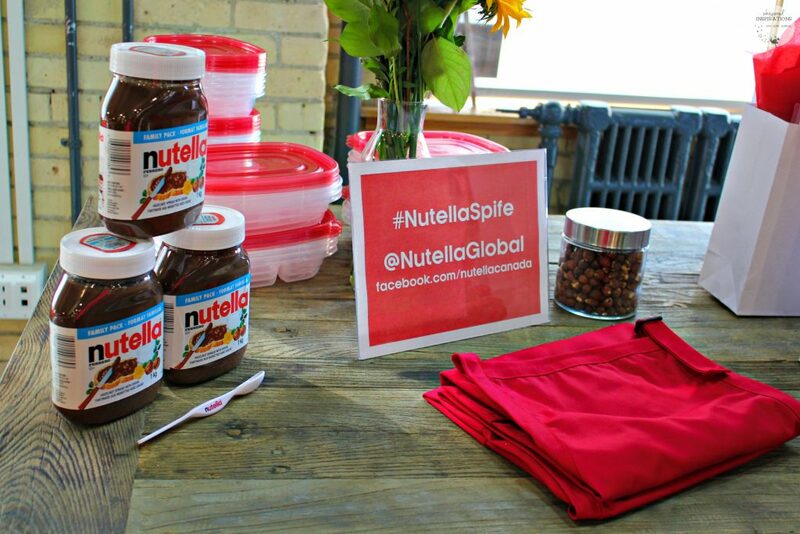 The solution is here: The Nutella® Spife is back for a limited time, now you have both options in one nifty utensil. Now, spoon and spread your ways in these 6 different ways–they will blow your mind! If you’re wondering how you can get your hands on a Nutella® Spife, you have the chance to WIN one by purchasing a specially marked Nutella® jar that comes with a pin. Type the pin in at www.nutella.ca and you’ll be entered! Plus, while you’re there you can play Spoon It or Spread it online and you have the chance to win instant prizes! I have to say that it can get addictive and whenever you answer–you can compare your answer to the majority! It can be interesting what people choose to spoon or spread! 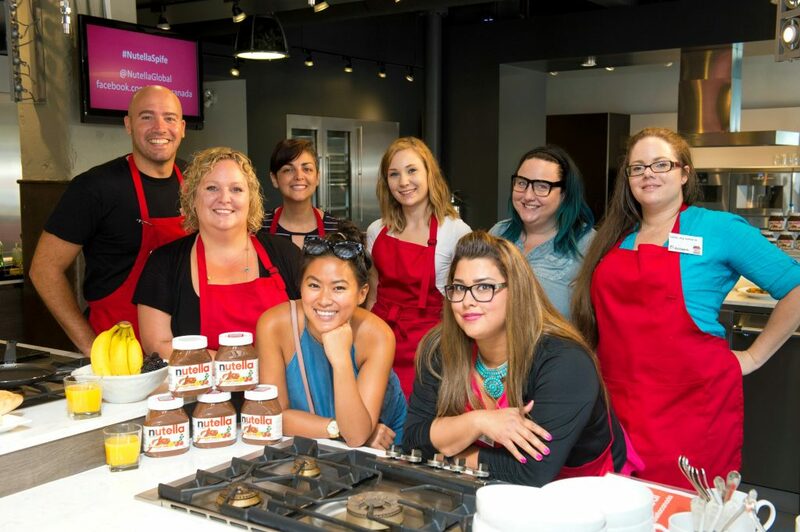 Hundreds of prizes waiting to be won, including t-shirts, waffle irons, Panini presses, mixers and coupons for Nutella® jars. 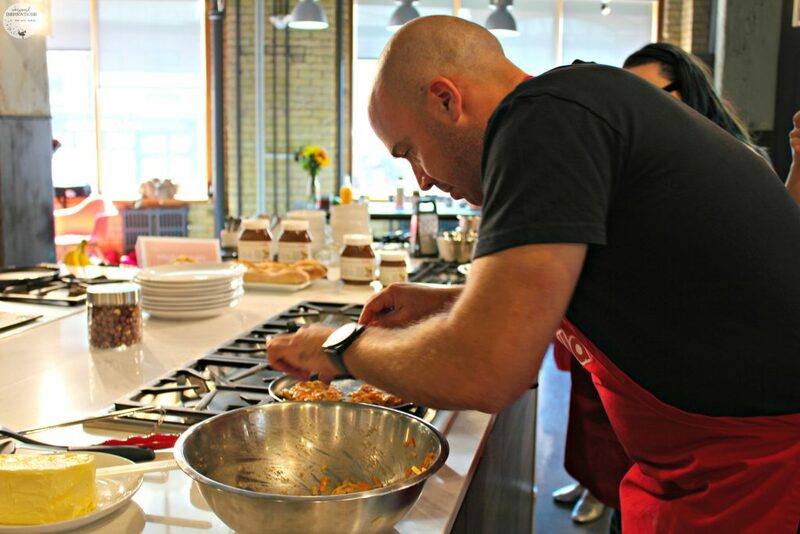 Recently, I had the chance to get into a dream kitchen in Toronto with a group of fellow bloggers and Chef Stefano Faita. 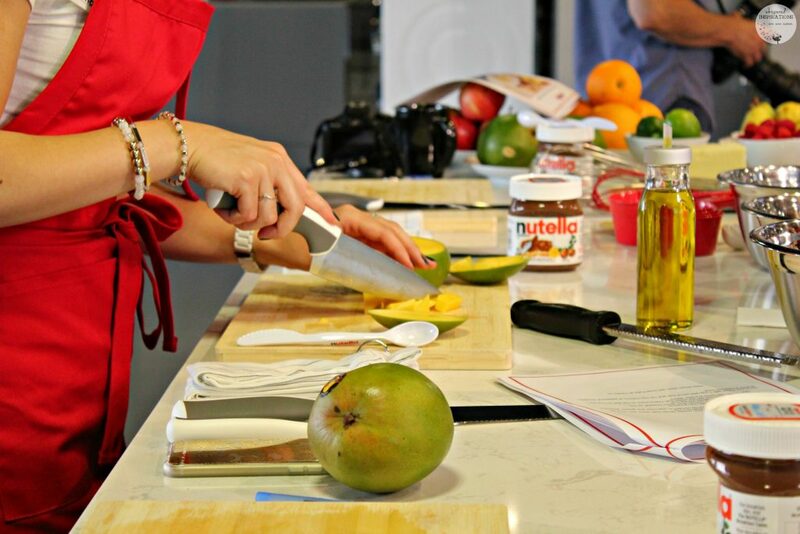 If you remember, I had mentioned the Nutella® Truck Tour and that Chef Stefano had created 6 amazingly delicious recipes made with Nutella®. We had the chance to get our hands dirty and re-create all of his recipes, with his help. I was over the moon! It’s always such a unique experience and I always learn something new. There’s also nothing like watching a chef teach others how to make their recipes, you can see the passion! Everything is Better with Nutella! While Nutella® tastes amazing spread on a slice of perfectly toasted bread, there are some brilliant ways that you have never thought to use it with. Chef Stefano has created flavours that can be enjoyed by everyone and that will tantalize your taste buds. I was stoked to have been able to re-create his recipes and share them with you all! They are all delicious but, I have to say, Chef’s Stefano’s homemade granola with Nutella® is one of my favorites and the Blintzes with Nutella® will blow your mind. The citrus makes all the difference! One of my favorite recipes is one of the easiest. 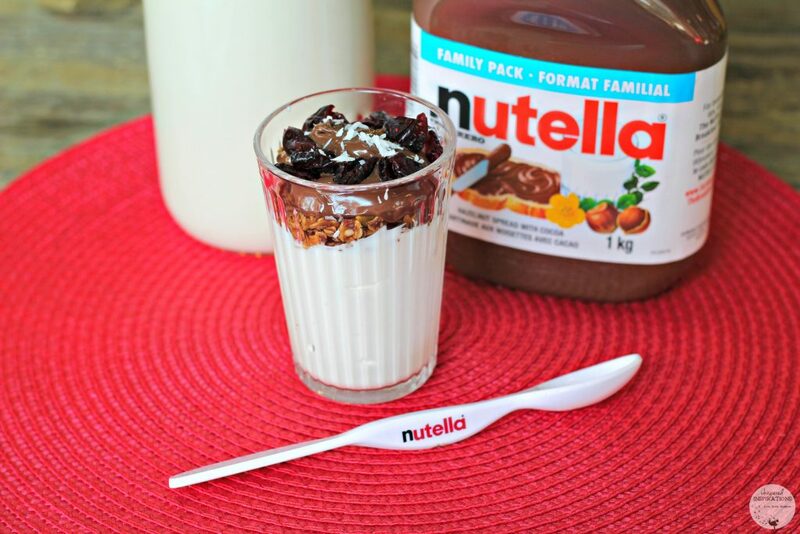 You would have never thought to add Nutella® to yogurt, right? But, it totally works! See the full recipe below. With the taste of creamy yogurt, sweet cranberries and delicious Nutella®, this superfood filled breakfast will give you the boost you need to take on the day. Preheat oven to 325ºF. Cover a 13 x 18-inch cookie sheet with parchment paper. In a separate bowl, mix together the maple syrup, agave syrup and canola oil. Bake for about 45 minutes or until slightly golden, stirring every 15 minutes. stored in an airtight container for 7 to 10 days. Place yogurt in a small bowl. Finish by sprinkling dried cranberries on top! Serve this recipe with ½ cup (125 ml) of fruit for a balanced breakfast. 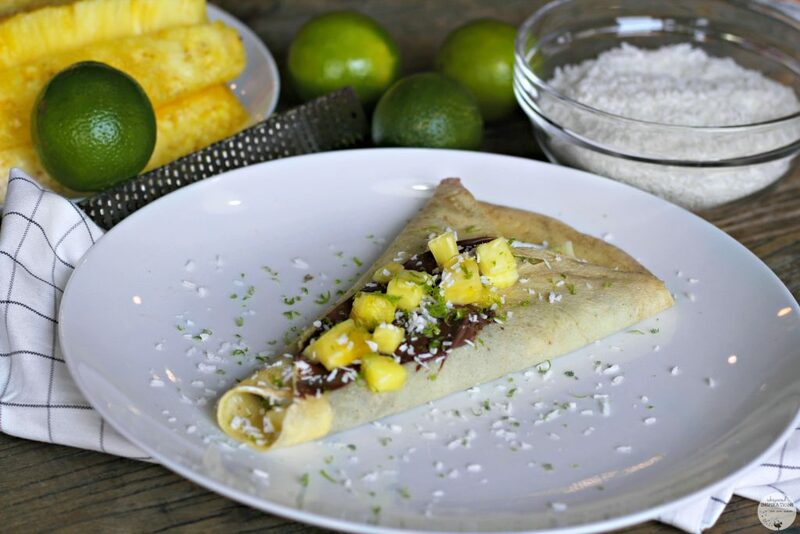 All of these recipes are delicious and I can attest to that since I made and tasted each one! 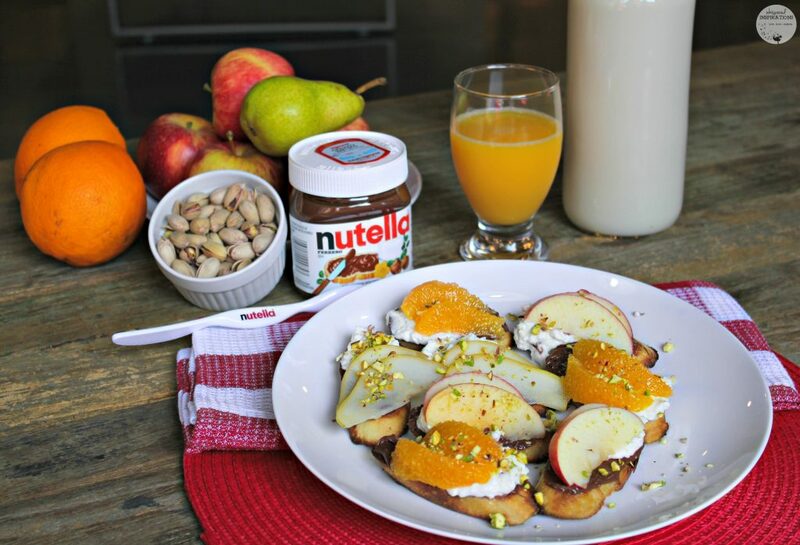 If you’re like me and can’t get enough of this heavenly spread, get in your kitchen and try Nutella® with your favorite recipes. You might be surprised! 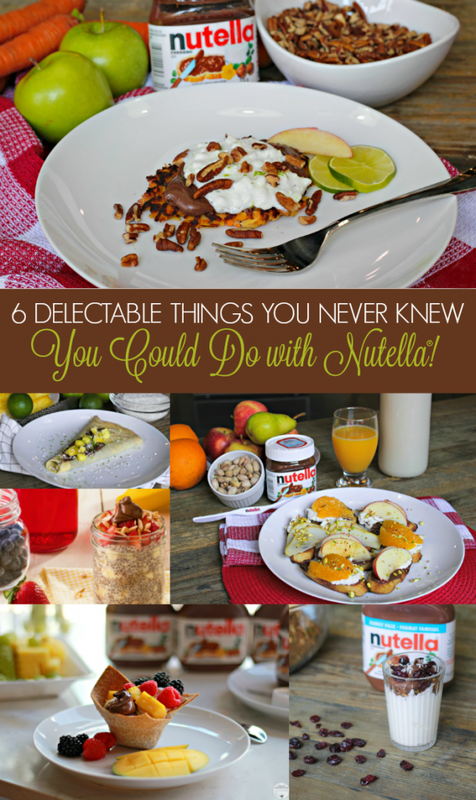 One thing is for sure, try these 6 delectable ways to use with Nutella®–you won’t regret it! 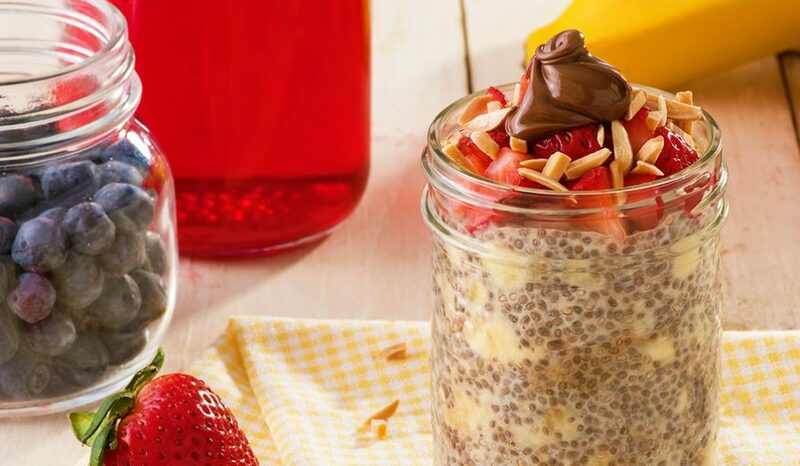 Plus, don’t forget to enter to win a Nutella® Spife to spoon and spread this ambrosial spread onto any recipe! After you’ve tried these recipes, try my fave Nutella churros. What’s your favorite way to enjoy Nutella®? Disclosure: This post has been compensated for by Nutella®, all thoughts and opinions are honest and my own. Yum, I like the sound of all of these recipes. 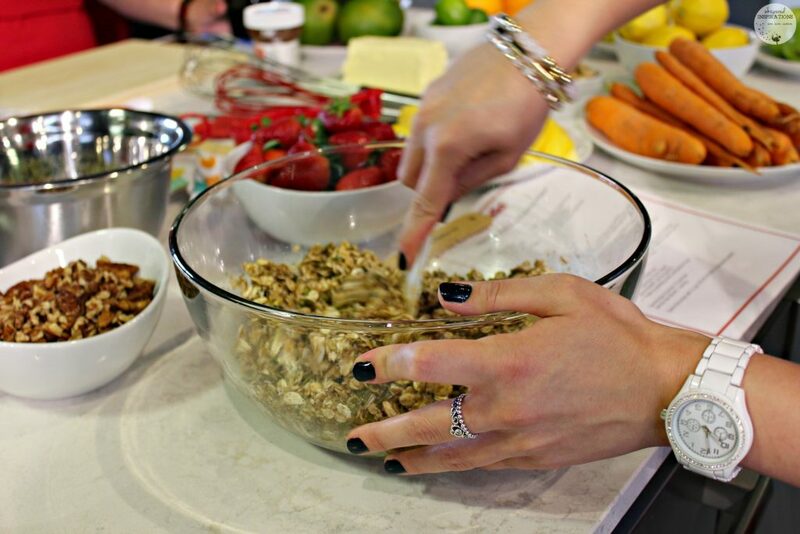 Going to try the Homemade Granola! 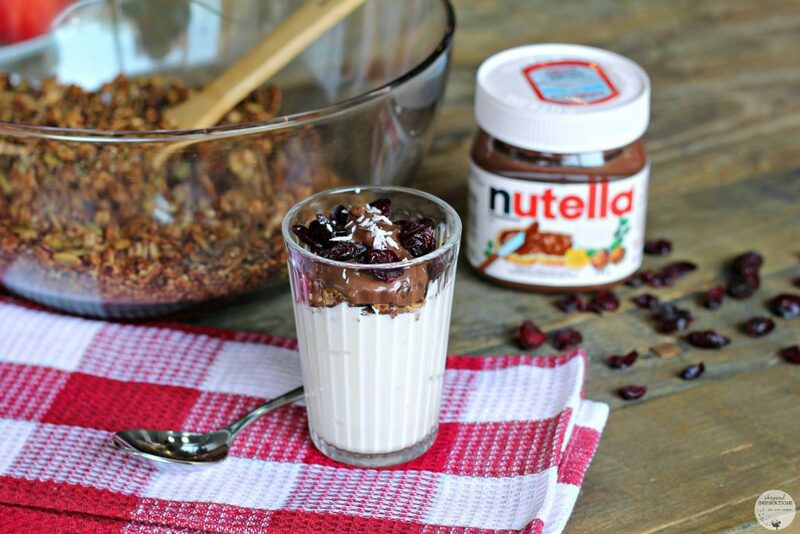 That granola with Nutella looks amazing! I have to agree, everything is better with Nutella. YUM! Everything is soooooo much better! Ah my daughters going to love you because you got me to cook or do snacks with nutella. Haha thanks! I never knew you could do these with Nutella! Thank you for these great ideas. I know my kids will love these. My pleasure, they are delish! You can do so much with Nutella. I love adding some to my smoothies. The kids love it on waffles. Oh yum!! All these look delightful! Definitely a must try! They are amazing, made and tried them all! Yum they all look delicious! Yum! 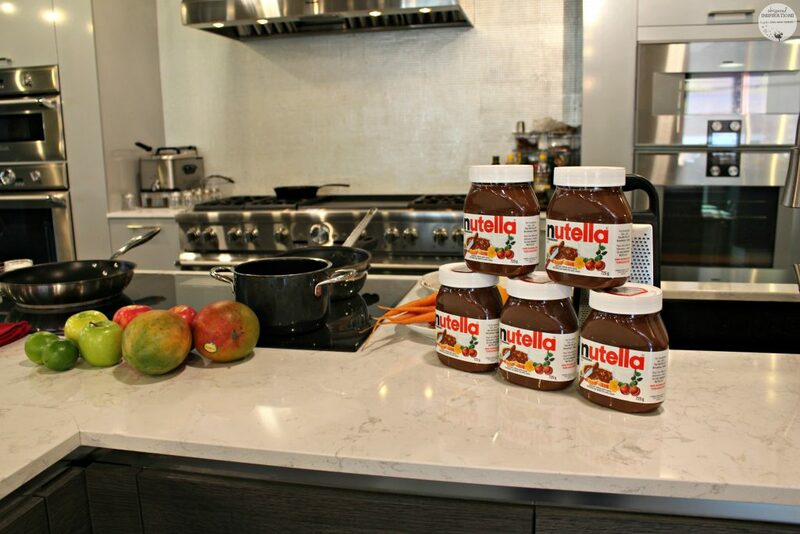 We always have Nutella on hand…love it. Muffins, cookies and grilled Nutella are my favorites, but always up for new ideas. MMmm! I adore Nutella so all the recipes sound like a win to me. 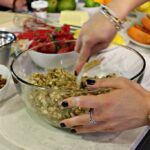 I think this granola would be so awesome as a hectic school morning breakfast! Mmm, it is so good. I am making a batch this weekend! Oh yum! 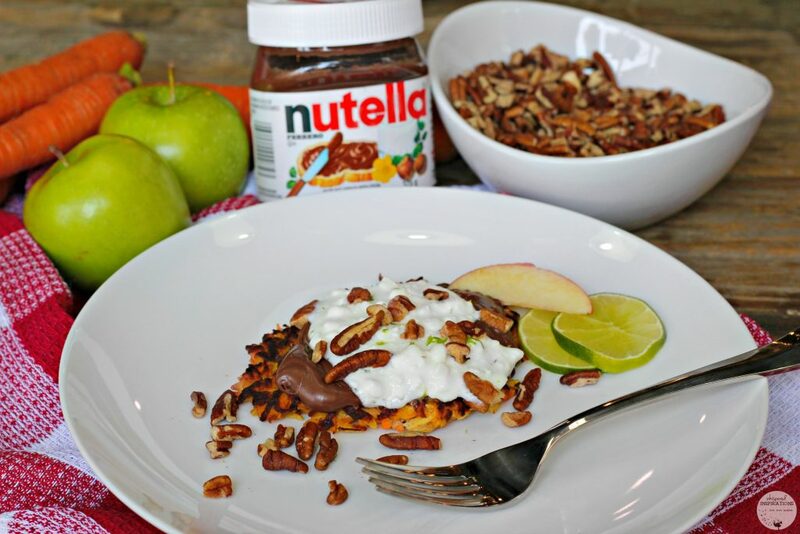 I absolutely love Nutella and love these creative ways to use it. Yum! You gave us so many healthy options! I love Nutella even more now! Thank you! Hehe, my pleasure…the granola is AMAZING! Wow, how cool! Nutella is super versatile! My kids love it on waffles too! Oh yum! I LOVE nutella. I rarely do anything more than just eat it as is, haha. These recipes look great! Now you gotta try these! Nutella is dangerous to have in the house because it goes with everything and the calories add up pretty fast !! We always have a batch! We just made a batch of granola for the grandkids they are going hiking for overnight this long weekend ! It is so good, huh? It’s delicious and they must have liked it because they have it on their food list for the winter camping weekend coming up!